"Climbing is not just a sport, it's a passion, it's a lifestyle, it's everything for me...!" For this, BAVARIAHOLDS combines 50 years of climbing experience and 25 years of experiences in polymer processing. 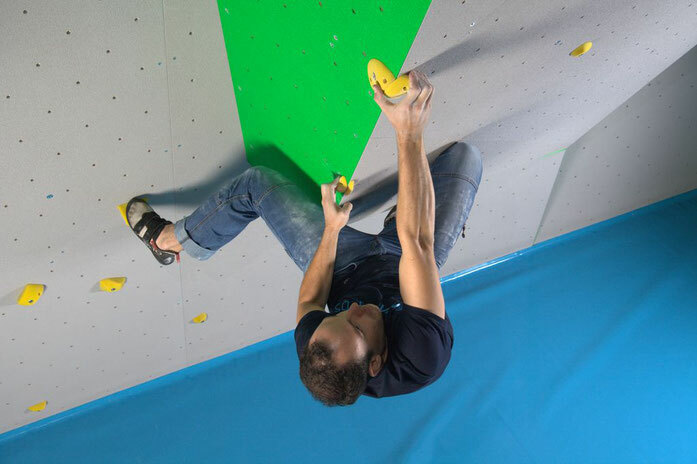 Tinkerer and developer Dirk Bendl created a new polyurethane mixture that makes the climbing holds by BAVARIAHOLDS so unique. The idea to produce climbing holds was born out of his love for climbing, a passion he shares with his wife and children as often as possible. As model builder and director of a polymer-processing company, he developed the brand BAVARIAHOLDS a few years later. Actually, manufacturing climbing holds is not so hard. But for a really good climbing hold, you'll need a lot of know-how, a lot of climbing experience and, of course, the perfect material that matches all the requirements for a climbing hold. These requirements are stability and sturdiness, the climbing hold's shape and surface shouldn't change even when used a thousand times. Previous climbing holds made of polyester and PU mostly had all these features, but with some substantial disadvantages. They are relatively heavy and, due to the bulking agents, quite brittle. In fact, it rarely happens that an entire hold breaks, but often, the edges will chip off. We at BAVARIAHOLDS set our sights on producing the perfect climbing hold. In order to reach this goal, we started looking for a material that will fulfil all our requirements. However, soon we found out that there wasn't such a material. Logically, the next step was to develop our own material for climbing holds, a material that isn't only robust and abrasion-resistant, but also lightweight and nearly indestructible. After four years of development, we were able to present a material that matches all our requirements. However we do never stop developing and always try to find something even better. Without any exceptions, all climbing holds by BAVARIAHOLDS are produced in Murnau (Bavaria) and consist of a high-end polyurethane made without any bulking agents. All climbing holds are produced at fair wages and fulfil the highest quality requirements.